At Mercedes-Benz, we strive to handle all customer needs, from providing genuine parts to having qualified automotive technicians repair our vehicles. 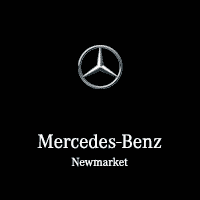 Mercedes-Benz Client Care is devoted to providing complete customer satisfaction and, as today’s vehicles have become increasingly advanced, our service facilities have changed with the times. There is nothing better than the feeling of a new Mercedes-Benz, and the way to maintain that feeling is to insist on genuine parts and accessories fitted by factory trained technicians at authorized Mercedes-Benz dealers. Emergency Roadside Assistance is available virtually anywhere in Canada or the continental United States. Specific coverage details can be obtained by calling the Mercedes-Benz Roadside Assistance number 1-800- 387-0100. Emergency Roadside Repair Service is also available in major metropolitan areas within a 50-km radius of your Mercedes-Benz dealer by calling 1-800- 387-0100. If a non-accident related mechanical breakdown occurs during the warranty period that requires the vehicle to be towed by Mercedes-Benz Roadside Assistance to an authorized Mercedes-Benz dealership for repairs, drivers are covered. ** If the breakdown occurs more than 80 km from home, reimbursement up to $500 for hotel accommodations and up to $600 for alternate transportation expenses is provided while your car is being repaired at an authorized Mercedes-Benz dealership. * Trip interruption benefits only available on 2009 or newer smart fortwo models up to $200 per incident. Roadside Assistance expiration on smart vehicles is subject to the smart Retail Renewal Program. Please contact your local smart dealership for more information. Trip interruption benefits do not apply to Sprinter or Metris vehicles. ** Tows for tire issues are not considered mechanical breakdowns, and are not eligible for Trip Interruption benefits.